ProWine Asia, the fast-growing wines and spirits trade fair under ProWein World’s family of international trade fairs, returns to Hong Kong on 7 – 10 May 2019, offering a world of wines and spirits at the trading-hub of Southeast Asia. 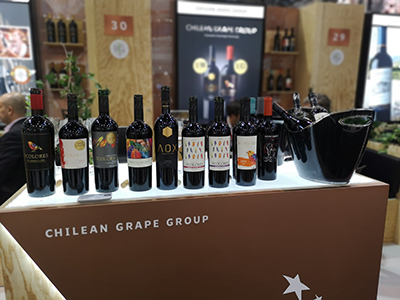 We will be in the stand 3G-324, and during the fair launch our new and innovative wine AOX to the Asian market, a new category of wines, high in antioxidants and quality, fruit of our experience and constant research. We will also present Gran Complot, a semisweet wine designed for those who are just entering the world of wine, and Millenials, who we will conquer with a unique flavor and an image that breaks schemes. And we will continue the conquest of Asia by the hand of Winebeer and its different, timeless and relaxed proposal to see the world with other eyes.